Come To the REAL Baja! 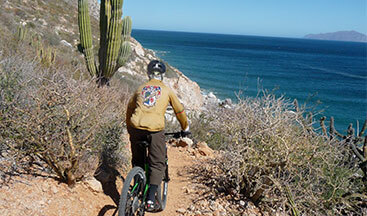 Create lifelong memories for our guests with unique, fun, and tailored tours to fit various fitness levels, while exposing them to the incredible natural history of southern Baja. 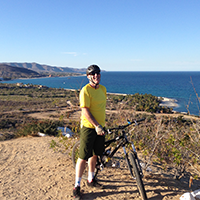 Provide special care and attention from the booking process to our insistence on safety means that we provide a unique, fun, and stress-free biking and hiking tour experience. The enjoyment of our guests is how we measure our own success! Taking care of all the details, so you can have the adventure of a lifetime. “Most smiles per dirt mile.” We don’t just talk about it, we live this motto. When you are happy, we are happy! Get in touch with us today to book the adventure of a lifetime! We offer a variety of packages, trails, and dates to cater to make your ideal vacation. Not seeing a package that fits your adventure needs? 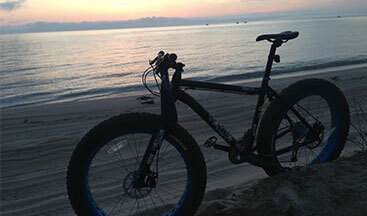 We’d be happy to customize a hiking, biking, or another unique adventure tour. Here's What Other Adventure Seekers Have To Say! The stay was great, the people in town welcome you, and the local food is outstanding. And I still had plenty of time for a few margaritas and some swims in the warm ocean. I would highly recommend this trip to any of my serious MTB friends, and I know Teresa’s Tours will take care of them! 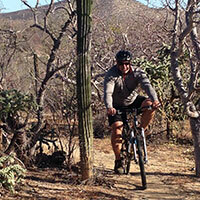 The Baja mountain bike trails had everything. Challenging climbs, fast and buttery downhills and incredibly scenic trails every stretch of the way. The ocean views from different points along the trails are breathtaking, and reminded me of the cold margarita waiting for me at the Buena Vista Spa.